Barefoot running, as uncomfortable as it sounds, has been growing in popularity in recent times. Fans of the fad claim it takes us back to prehistoric times and makes the muscles in the feet, ankles and lower legs work harder because the shock absorption that training shoes provides is taken away. And while it seems to make perfect sense, for most people it’s neither a practical nor desirable option. Now running shoes lovers everywhere are vindicated because there’s some great news…. 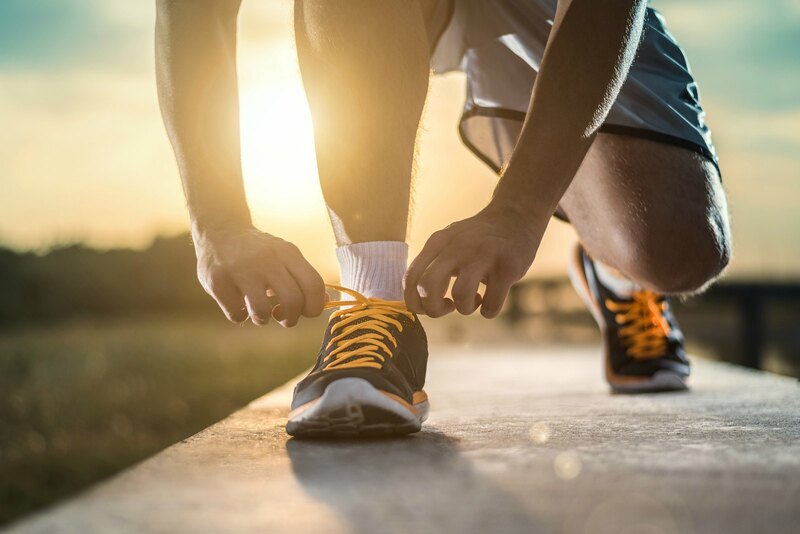 researchers from the University of Queensland have conducted a study that concludes feet work harder in trainers than they do during barefoot running. Using sensors to monitor foot muscle activity during running the scientists found that rather than doing the job of cushioning the feet, the stability trainers used actually made the foot work harder. This was because the arches of the feet had to compensate for the arch in the trainer while doing their job of providing stability to the runner. It’s a little like comparing a sit up on a mat to one on a stability ball – you’re performing the same move but on a very different surface. The results were the opposite of what was expected, as the study was set up to look at how much harder the muscles work when running barefoot. Luke Kelly, who lead the study, told the LA Times, “we see more activation in muscles when we run in shoes than when we don’t”. So as well as making you look good, stability trainers actually do you good! Which means you can run, jog, dance and jump in the knowledge that wearing supportive sports shoes will actually improve your stability. Need a pair to get you on your way? Check out the huge range of running shoes in our online store with everything from neutral and stability shoes to minimalist and trail ones, plus brands including Asics, Mizuno, New Balance, Newton, Salming and more!